You know the feeling… You’re stuck in a mood, and you just need to get out of it. Time to bring in the newest wand in my health tool-kit: Essential Oils. Yes! I’ve been talking a lot about these little bottles of Mother Earth lately. Simply put, the pure, therapeutic grade essence of plant power from my doTERRA Essential Oils is upgrading my mood and elevating my thoughts. Specifically, my Oils are helping me to get in front of my mood, versus reacting to it and acting in a way I don’t want to. These oils also support me when my mood is low. For example, if I know I need to get a creative pursuit going and I’m feeling flat and totally stagnant at my laptop, I diffuse certain Oils to re-activate my creative drive and energy. Hear what I’m saying? doTERRA Certified Pure Therapeutic Grade Essential Oils when put on the skin topically, enter the bloodstream and enter every single cell of the body. Unlike many other things we can take to help manage our moods, Essential Oils actually penetrate the cellular wall and get right in our cells (literally) to heal us. Essential Oils cross the blood-brain barrier, giving these plants full access to our bodies and minds and do the great work nature intended them to do, naturally. It makes sense when you think about it. The human body is of the Earth. Plants are of the earth. We work in symbiotic harmony together at a cellular level. Ready to feel passionate, vital, inspired, alive, playful, spontaneous, excited by risk-taking, creative? YES PLEASE, right?! doTERRA’s inspiring blend for unlocking your passion and creating a spontaneous self. This blend counteracts boredom, anger, disinterest and bitterness. This yummy oil is an intentional blend of spices, wood, and flowers. Spices include: cinnamon, cardamom, ginger, and clove. Wood and flowers include: sandalwood, jasmine, and vanilla. Aromatically // diffuse it in your bedroom (! ), or in your creative space. Or just place a drop on your palms and inhaaaaaaaale. Topically // drop one drop into your palm, mix with a teeny bit of a carrier oil (I love coconut oil) and rub it on the bottoms of your feet. All of your nerve endings are on the feet, so it’s the best place to apply your oils to get the best results. 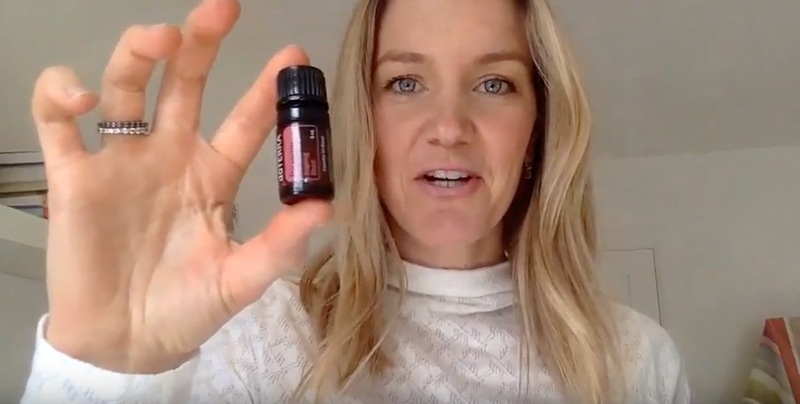 Sign up for our 889 newsletters and be the first to get access to videos and tips that we share on How To Use some of our favourite oils, like this latest Passion Oil video. Shift out of your own chemistry. Get in front of your mood. Share in the comments how Passion is working for you, or ask any questions and I will happily respond.